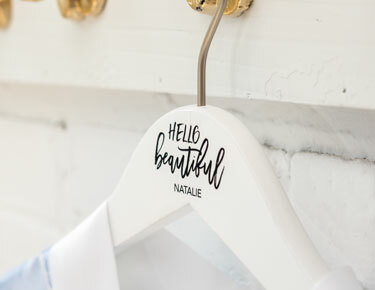 Hook your bridal party up with serious swag when you shop personalized gifts from The Knot Shop. We offer a huge variety of high-quality and stylish custom bridal party gifts designed to help you honor your friendship and show appreciation to your closest crew. This assortment also includes a fantastic collection of wedding gifts for the bride and groom as well as personalized gifts for family members who've helped make your day extra-special. 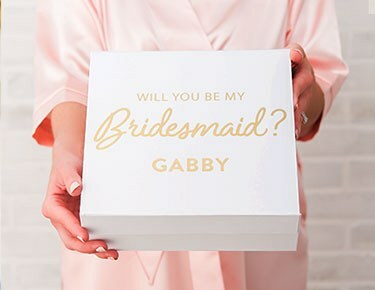 Shop personalized bridal party gifts for everyone on the list, from bridesmaids and groomsmen to flower girls and ring bearers, so that everyone goes home with something extra-special after your wedding day. 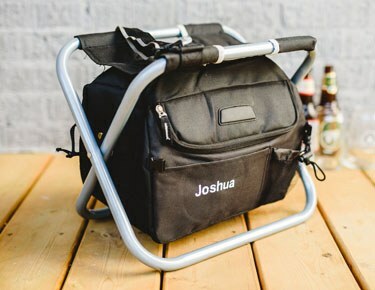 You'll even find personalized wedding gifts her for the newlyweds.Take a quick gander through our shop to get inspiration and bridal party gift ideas for both groomsmen and bridesmaids. Ladies will love our silky personalized robes and travel totes, while the guys (and girls, too) will love our custom beer growlers and cooler chairs. Take care of all your wedding party gifts - from the best man and maid of honor to your ushers and grandparents - when you explore thousands of unique personalized wedding party gift options from our store.We've got the best-ever selection of bridesmaids gifts for all personalities, plus unique groomsmen gifts that'll charm all of your favorite guys. These are top-notch wedding gifts for bridal party members of all personalities, whether they're into sports, cooking, art or the outdoors. At The Knot, personalized groomsmen and bridesmaids' gifts are our specialty, so make sure to explore our complete selection for styles just for your crew.